This week marks Bed Bed Bug Awareness Week, and a recent study from pest control company Orkin ranked four Ohio cities in the top ten nationally for bed bug infestations. 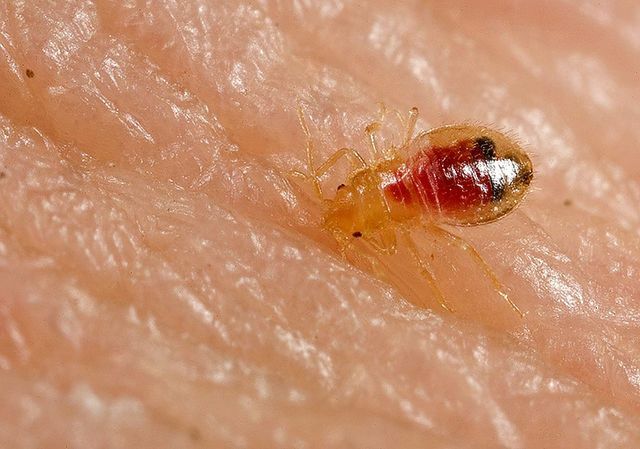 COLUMBUS – Just the thought of bed bugs make most people squeamish, but one expert says bed bugs are an epidemic in Ohio. The week marks Bed Bug Awareness Week, and Ohio State University entomologist Susan Jones says the Buckeye State has had a problem with the insects for more than a decade. Bed bugs are tiny parasitic insects that feed on humans and travel from place to place. Anyone living and breathing is a potential victim. Bed bug infestations are not easily resolved, and Jones says removing them requires both heat treatment and insecticides. She adds that eradication should be left to professionals who have extensive experience working with bed bugs. A 2015 study from pest control company Orkin ranked Ohio’s four biggest cities in the top 10 U.S. cities with the most cases of bed bug infestations, including Columbus at third, Cleveland in fifth, Cincinnati in seventh and Dayton in tenth place. While bed bugs are not known to transmit disease, Jones says seven out of 10 people who are bitten report an allergic reaction. She adds that infestations can cause psychological trauma for some people, including anxiety, stress and insomnia. Jones says public health leaders need to pay more attention to the problem and find funding sources to provide better education and awareness among Ohioans. The Ohio Department of Health, Central Ohio Bed Bug Task Force, Joint Bed Bug Task Force in Cincinnati/Hamilton County and The Ohio State University Extension service provide resources about bed bugs and eradication.